The purpose of the exhibition is to present the long lasting history of the island, and the short depiction of various aspects of human life, as it has been shifting through the ages. The Chalkida archaeological museum is housed in a building of the beginning of the 20th century and includes findings from all around Evvoia. 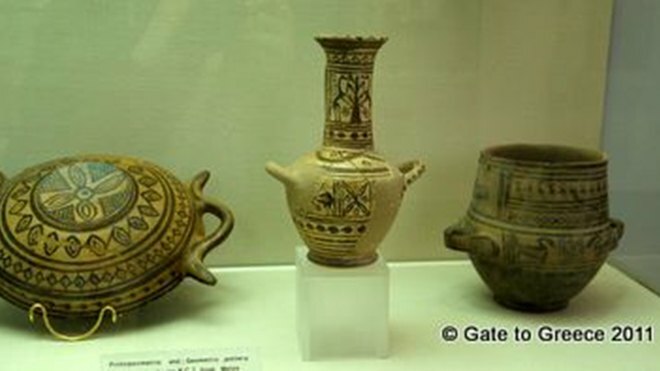 The exhibits date from the Paleolithic to the Late Roman times and come from various digs in Evvoia. 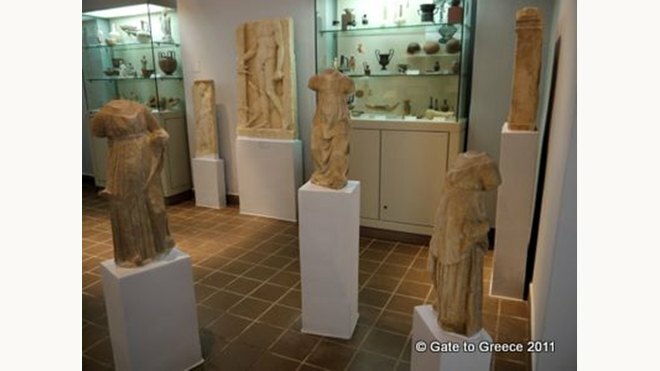 In the three rooms of the museum, the Permanent Exhibition exhibits have been arranged by date, so that the visitor can get a full image of the ancient Evvoia. The exhibition has been organized in such a way as to briefly present the history of the island, while at the same time to pinpoint the significant themes of ancient monuments. The Numismatic museum has always encouraged, and still does, the creation of new training programmes looking to make to the younger people knoen the importance of museums in society.